(0 Customer Reviews) | Write Review 6 issues per year Want to buy your first property? We show you how. 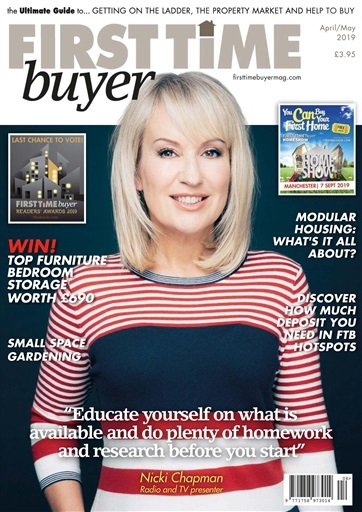 If you are keen to get your foot on the property ladder then First Time Buyer magazine is the ultimate guide to help you buy the home of your dreams! The magazine is the first of its kind to be dedicated to first timers. It covers everything you need to know when buying for the first time. There is expert advice covering everything from mortgages, legal guidance, getting Government funding and the latest new developments. The special How To guides help you get to grips with the property market and each month we scour the market for the best starter homes, which are featured in our extensive For Sale section. There are also inspirational ideas for interiors, shopper’s guides, recipes and an exciting competition. For celebrity spotters there are fascinating interviews with the stars of stage and screen who share their property experiences. 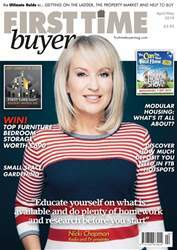 First Time Buyer magazine is the one-stop read to help get you started. Modular Housing: What's it all about? Want to buy your first property? We show you how. If you are keen to get your foot on the property ladder then First Time Buyer magazine is the ultimate guide to help you buy the home of your dreams! You'll receive 6 issues during a 1 year First Time Buyer magazine subscription. You'll receive 6 issues during a 1 year First Time Buyer magazine print subscription.